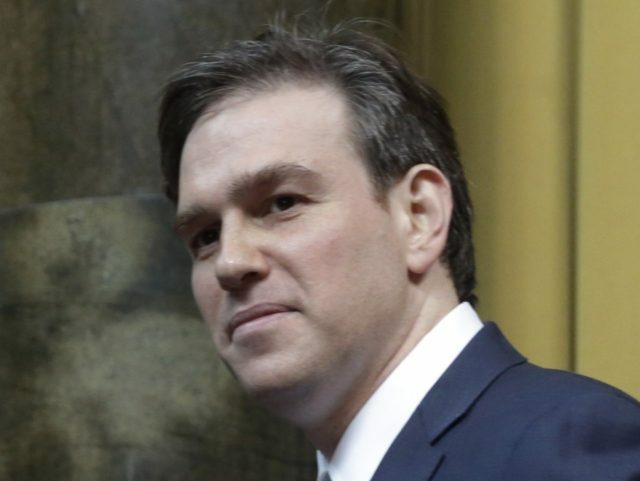 On the Fourth of July of all days, “Never Trump” New York Times columnist Bret Stephens said President Donald Trump’s supporters are “idiots” who need to “admire” elites. Stephens was recently mocked as an elitist poseur when he actually wrote a column about permanently signing off Twitter only to reveal that his assistant would be monitoring his Twitter feed. “Never Trumpers” like Stephens write for their fellow media elitists (their core base), so of course Stephens is not really signing off since he would risk giving up some of the spotlight that is put on him whenever he bashes Trump and his supporters. On MSNBC, Stephens also whined that George Will, who was on the wrong side of the Reagan Revolution and is now an MSNBC contributor, is no longer viewed as the “godfather” of conservative punditry. Stephens then continued to embrace policies his former employer, the Wall Street Journal, blindly supported like unfettered “free trade” and open borders. “Someone ought to make the case to normal Americans: Free trade is good for you. Your communities are enriched by immigrants. Your communities are, in fact, made safer by immigrants,” Stephens said. His column was so misguided that Breitbart News’ Neil Munro and Fred Bauer at the establishment National Review shredded it. Stephens’s proposal cherry-picks evidence to show the supposed degeneracy of native-born Americans. But it does not account for the fact that immigrant households rely on government assistance at a much higher rate than native-born households do. Nor does it account for research finding that the children of many immigrant families sometimes face more challenges than their immigrant parents did. As part of his attack on deporting illegal immigrants, Stephens asserts the centrality of immigrants to the American experiment. Of course, immigrants have been crucial partners in building our republic, but we can note the valuable legacy of immigration without discounting the dignity of natives. Intellectual shortcomings radically compound the economic deficiencies of the meritocratic denigration of the native-born. The worldview that poor Americans can’t cut it and should therefore be replaced by more “competitive” immigrants might fit comfortably in a corporate boardroom, but it profoundly misunderstands the purpose of citizenship and the enterprise of inclusive politics. Whether or not a poor American “deserves” to be an American is beside the point — what matters is that he is American and that, by virtue of his citizenship, he has an inherent claim to the public square and public concern. While pseudo-meritocratic initiatives to cull the weak are chic on Wall Street, they inject poison when applied to politics. Arguing that the poor and disadvantaged are somehow less worthy citizens exacerbates civic alienation; it cuts the materially unsuccessful out of the body politic and flatters the indifference of the successful, whispering to them that they are justified in sneering at the struggles of the weak. In its high-handed dismissal of the struggles of the poor, the argument that the native-born are degenerate trash-people is almost a recipe for even more populism, a force that has caused Stephens himself no small angst in recent years. In many areas, illegal immigrants are prime competitors to legal immigrants, so widespread illegal immigration almost certainly makes it harder for legal immigrants to climb the ladder of success. But rarely are those who oppose amnesty legislation and support immigration policies (like reducing the number of H-1b visas) that favor legal immigrants already here and U.S.-born workers given lofty platforms like the one Stephens has in print, online, and on television in the establishment media. Even on Fox News, which many Trump supporters see as the least offensive outlet for news that has some semblance of being fair and balanced, those who favor trade and immigration policies that benefit American workers have an uphill climb to become regular contributors. Limbaugh reportedly said he “had to bring [the amnesty issue] up myself to whatever extent I did, and that by the way, is quite telling to me.” Former Alaska Governor Sarah Palin expressed similar sentiments. During the early stages of the 2016 election cycle, Fox News trotted out establishment hack after another who supported former Florida Gov. Jeb Bush and Sen. Marco Rubio (R-FL) along with their “comprehensive amnesty” agenda. Those like Stephens who favored more open borders and his colleagues from the Wall Street Journal were given plenty of airtime on Fox News’ various Sunday programs. MSNBC host Ali Velshi, who apparently is clueless about what animates the right and working-class Americans like most in the mainstream press, did not challenge some of Stephens’ more outlandish assertions. Instead, Velshi said the country and MSNBC needed more “Never Trump” “conservatives” like Stephens.